There was a most indignant look on the basset’s faces when they were woken from their slumbers this morning at an ungodly hour. After much stretching, scratching and yawning they succumbed to the early rising, but purely on the grounds that breakfast was being served. They soon crawled back into bed pulled their ears over their eyes and put up their do not disturb sign. Such laziness is fine for the bassets since every day is a holiday to them. But our holiday is officially over today as his Lordship headed off to the big smoke for his first day back at work. I do have the luxury of more time off work. I do however see this extended period of “holiday” more as forced unemployment as there is little or no demand for my professional services so I take the time to work on projects around the house. It’s also a great time for the annual life laundry – cleansing the office, the cupboards and finding some time to fill in the details around my work plans. I’m also working on some personal project ideas that I want to bring to life. 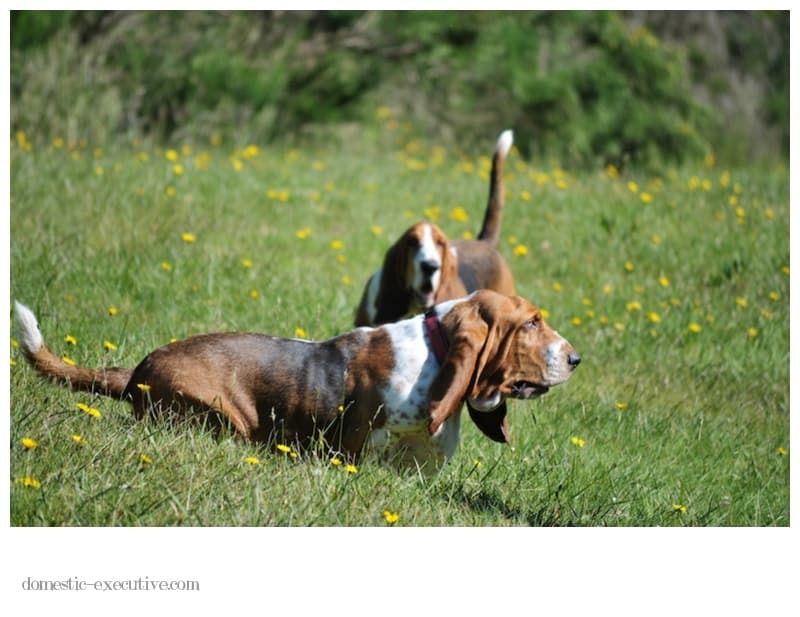 One thing I am looking forward to over the coming weeks is getting a routine back for the bassets and I to exercise. Whilst there has been no shortage of walks and physical activity I love this time of year for early morning romps when it’s cool, the light is at it’s most beautiful and I have sufficient time and energy to get into my running groove again. I’m also tempted to dust off my bike once more and head to the trails as an antedote to all the seemingly constant munching that goes on when you’re in holiday mode. This is precious time that I really appreciate even if I do feel guilty that my poor husband has to get back into the corporate grind. I know that he’d rather be at home with us having fun and hanging out. So this post is for him to give him a smile on his first day back. 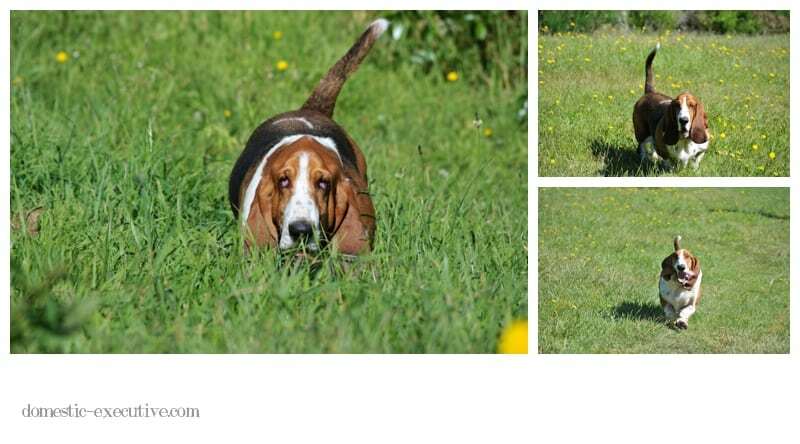 A little of what his beloved bassets will be up to whilst he’s earning the necessary funds to keep them in the style he has accustomed them to! Absolutely adorable photos Julie, my favourite is the big one in the third set, where the little guy’s skin is coming down over his eyes! Fantastic shot! Fabulous set of captures! 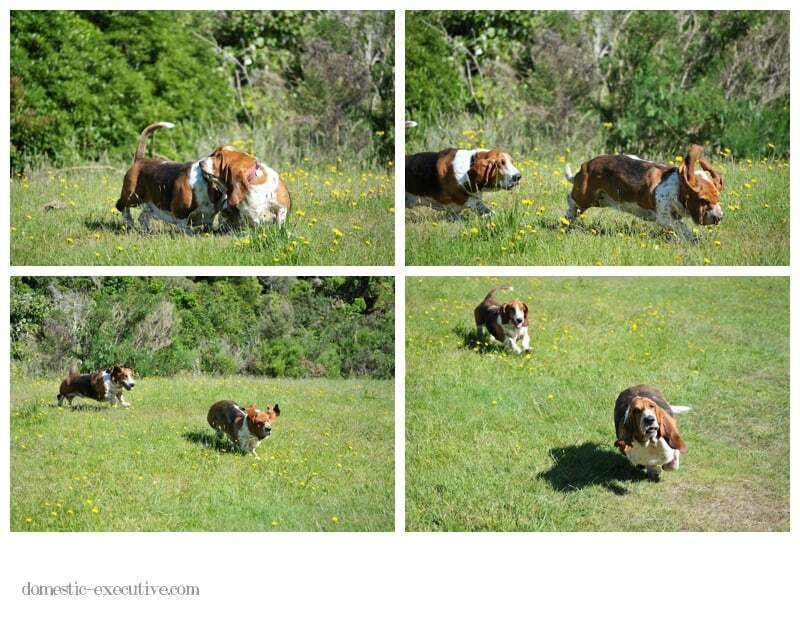 The boys look like they are having a grand time romping around in the field. I assume Fortnum’s ears are soaked from dragging them through the dew covered grass? Abigail’s ears would get like that, I was always cleaning or drying off those mops/dirt collectors. Enjoy your summer. 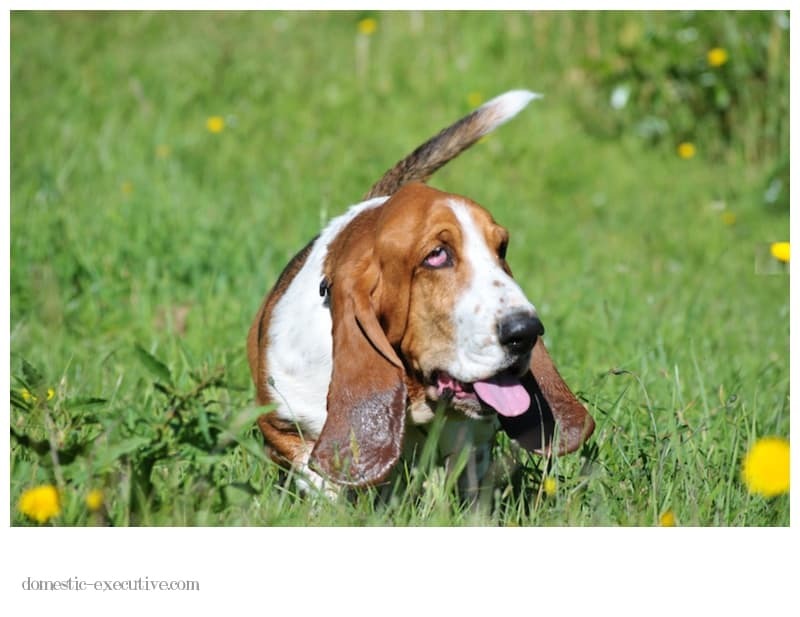 Hi Liz – perils of basset ears eh! Always makes me think I have giant snails in the house as they sweep the tiled floor with them after a good long slurp from the water bowl. 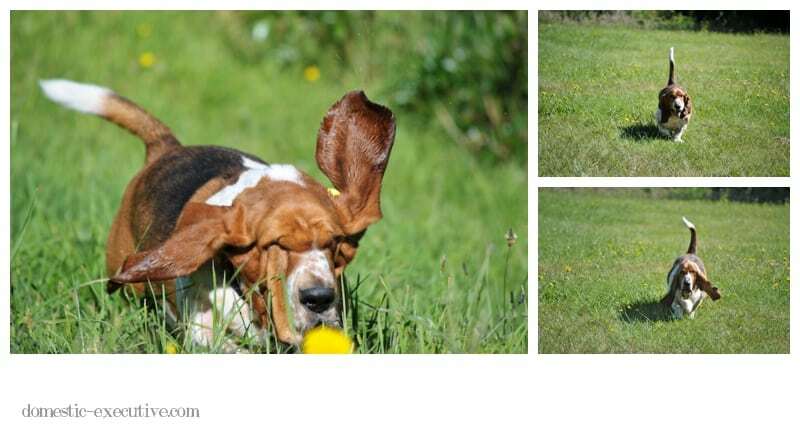 you just have to smile at those dogs with their ears flapping wildly as they run, very cool pics. Grumpy is definitely the right word to use where bassets are concerned. They have such expressive characters which make it clear what they think of you! Thanks for stopping by.